The weaponisation of social media platforms like WhatsApp to spread fake news will gather momentum as India enters an election year. The number of countries that witness cyber-troop activity—formally organised social media-manipulation campaigns by a government or political party—has already risen to 48 from 28 last year, a July 2018 study on computational propaganda by Oxford University researchers found. In India, like in the 38 other countries included in the study, cyber-troop activity is especially tied to elections. The researchers found evidence of political parties spreading propaganda on social networks during elections or referenda. “From what we have seen so far, teams tend to form around political campaigns and dissipate when they are over,” the study’s co-author Samantha Bradshaw told Quartz. WhatsApp is one of the key platforms where disinformation is spreading in India, the study revealed. 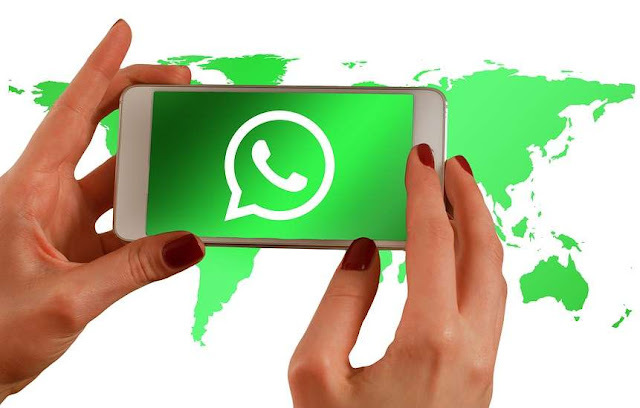 “In India, there is a stronger culture around using WhatsApp—user-curated public and private groups are a common way to connect with friends, family, and the broader community,” Bradshaw said. The popularity of the Facebook-owned instant messenger is why distorted campaigns breed on it, she said. With over 200 million active users, WhatsApp is the most widely-used messaging app in India. The researchers even found instances wherein political campaigners in India hired public relations or consulting firms to spread online propaganda. In the run-up to the upcoming 2019 election, the ruling Bharatiya Janata Party (BJP) has reportedly set up thousands of WhatsApp groups to directly reach out to their electorate. Party president Amit Shah is apparently a member of each one of them in an attempt to stop the spread of fake news. However, during the 2014 elections, when social media first emerged as a pivotal campaigning tool for Indian political parties, the BJP was accused of birthing internet trolls and fake photo forwards. Even during some state elections this year, WhatsApp reportedly housed rampant misinformation from multiple political actors. The chatting app isn’t the only source of fake news in India, the study found. On Twitter, the researchers discovered evidence of political parties using bots to boost their follower counts, or to retweet, like, or share content that supported their campaigns. ”Automated accounts allow you to reach more audiences, and if you can generate trends, you can generate truth,” Bradshaw said. The recent Twitter purge of fake accounts, where prime minister Narendra Modi lost 300,000 followers and Congress chief Rahul Gandhi lost 17,000, speaks of how widespread bot activity is among India’s political candidates. So far, there do not seem to be large, long-term investments or annual budgets going into developing cyber troop capacities in India, according to the study. But political parties in the country will likely pour in more time and money into social-media strategies going forward, Bradshaw expects. But the scales could tilt the other way, courtesy net neutrality. On July 11, India’s telecom ministry approved net neutrality rules that treat the internet as a public utility and not a luxury. This would mean many Indians will now no longer be able to access the internet from zero-rated plans, which restrict access to only a few websites. So now, more users will be able to fact-check information from across the world wide web, Bradshaw said.